This Must be the Place focuses on the architectural fantasy, as a place where the artist can develop and shape his ideas and fascinations. In art history there are many famous examples of imaginary buildings, such as Breughel’s Tower of Babel, Piranesi’s Carceri, the deserted city squares of De Chirico and Constant’s idealistic urban fantasy New Babylon. 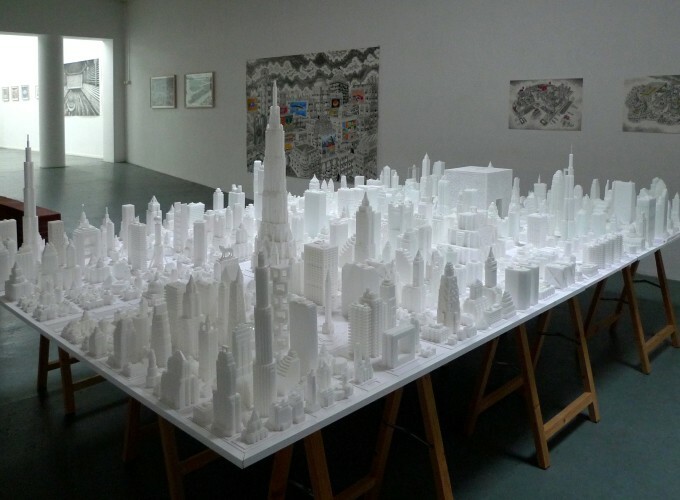 These often refer to mythical lost cities, offer social criticism or attempt to imagine an ideal society. 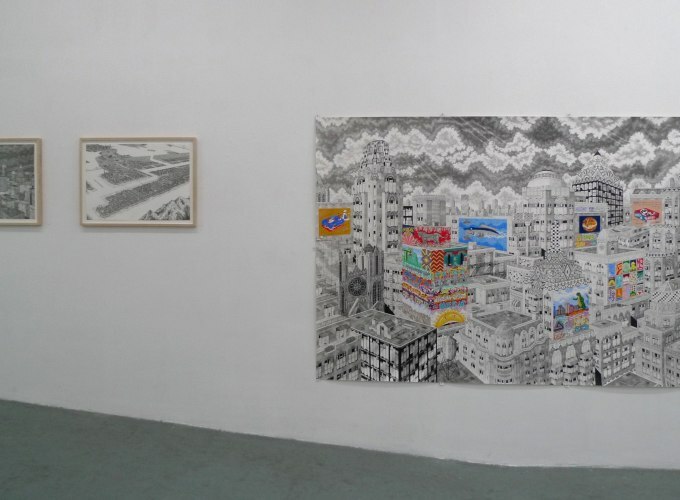 Rik Smits (1982) draws enormous and meticulously detailed metropoles with skyscrapers, road systems and harbours. People are absent in these drawings, but he often integrates statues of mythical creatures and animals to represent a cycle of bloom, decline and regeneration. 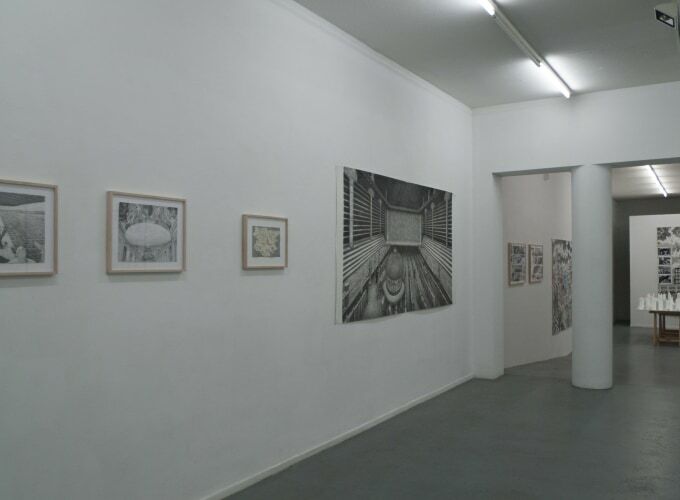 Robbie Cornelissen (1954), who recently received the Fentener van Vlissingen Culture Award, also makes detailed large-format drawings of architectural spaces and buildings. The library is a recurring theme in his work, sometimes integrated in a large public space. These are clearly not realistic architectural structures but more like mental, inner spaces for the spectator to wander through. Dirk Zoete (1969) makes drawings of landscapes in which houses, windmills, barns and fields form a coherent system for humans and animals. 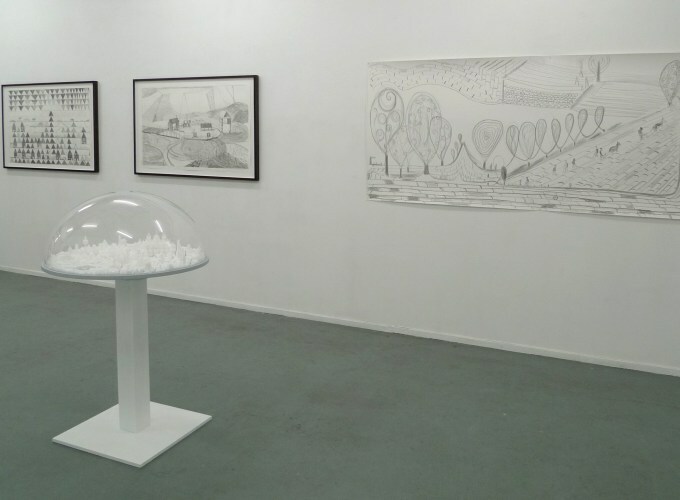 The drawings show a longing for a world where people are able to be self-sufficient and live in harmony with nature. 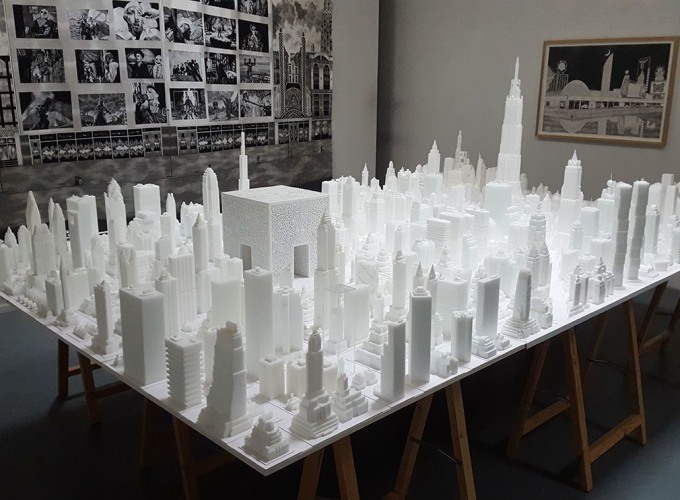 Apart from the drawings, the exhibition includes scale model by Rik Smits of a city cut out in styropor foam, measuring 2,2 x 3,6 meter.